Performance appraisal is certainly one of the much awaited moments for employees of a company. This is where employees would know how they fair as employees in the eyes of their superiors. Performance Appraisal is the time when the management reviews the performance of employees for a specific period of time. Some companies opt to connect performance appraisal with the salary increment. However, I don’t recommend it until such time that you have well studied your system and had tried it for a considerable length of time to test its validity and check some loopholes. Performance Appraisal could be a dreaded experience to some who doesn’t have the skill to do it right. So let me share with you some tips on how to do it. Feel free to write your message below should you need help. Set the date and time in advance that is mutually convenient for both you and the employee, and that will allow enough time for each of you to do preparation. If you have asked the employee to do a self-review, be sure to give him time and have it early so you can prepare. Rating all your employees, or groups of employees the same. Be prepared spiritually and emotionally especially when reviewing a problematic employee. Put the employee comfortable and relax. Explain the purpose of the review. Be mindful of your body language: good eye contact; attentive posture. Ask the employee for ideas about how to resolve problems. Be honest and be prepared to discuss questionable items. You should sign the review as well as the employee. The employee may opt to file an appeal to the HR if he or she is not amenable with the result. Follow up developments on the set Performance Optimization Plan. This is the one task I always dreaded when I was in the workforce. Regardless of the employee’s performance the previous year, the appraisal always seemed to be stressful! These are very good tips! Performance appraisal is great especially if you have a employee. It help you improve how you work and help you understand how important to have a rest work performance. This is a great post and very informative. performance appraisal will let employee understand their performance and will help them to improve to be better in the workplace. Most likely we need to have their performance appraised to be fairly evaluated. Appraisal should incorporate factors such as collaborative ability and sense of teamwork not just individual performance. The appraisal would list skills acquired with level of competency resulting to salary increases that take into a company performance that should include the individual’s contributions to those goals. Appraisal is exciting for me. Because i will know if my performance is more on positive or negative and if it is good i will improve it and if it is need inprovement i will improve it. It is also a recognation and appreciation of your job. In aviation company cabin crew appraisal is testing the knowledge and capability of an employee .Because for us safety is very important safety for the passengers.It helps improve the job well for the employee. The annual performance appraisal interview/meeting is the last stage in the performance management process. It allows the employee to communicate intensively, face-to-face and in private, with his/her supervisor in order to review work accomplishments. It is necessary for a company to have a performance appraisal regularly in order to assess their employees on their tasks if they really performed well or not. In any ways, it could also help them to improve and be more productive in their job. Performance appraisal is done to determine whether employees should be retained, promoted or transfered. It can also be the basis in wage or salary adjustments. This is also to provide feedback to employees in the areas where they need some improvements through their own efforts or by additional training. Performance evaluation is one way of measuring or knowing the improvements of an employee in a duration of time. Let’s say six(6)months, or probationary period, evaluating the performance of an employee is essential to help them grow and develop in their fields. It is necessary to have a performance appraisal once in a while- to know the things to improve and practices to imply correctly. After knowing the outcome, coaching should take place to give appropriate advise for improvement. In other company, they conduct evaluations twice a year, they should be checking in and following up with there employees on a regular basis. There should be no surprises for either you or your employers during the mid year and year end evaluation process as long as you do your part to keep lines of communication. Performance Appraisal should be practiced by all companies, regardless how small or big they are. It gives feedback to those who have slacked off and provides motivation to employees who have worked their best all year round. Performance appraisal is a useful tool on accessing one employee on how he/she perform in a certain period. In our company we practice a yearly performance appraisal and this is the basis of our salary increase and yearly incentive. 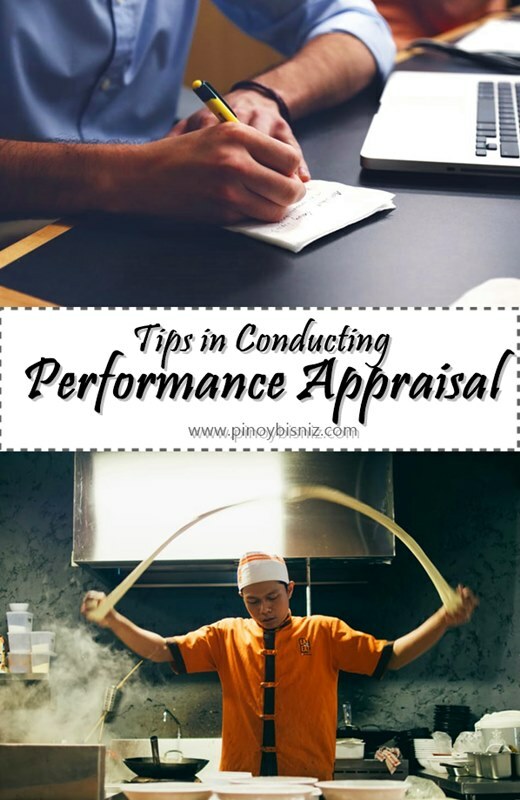 In this article, I learned that Performance Appraisal is not just about the increase in salary. Also, Performance Appraisal is the make or break of an employee to its superiors. I always break out in a smile when my supervisor tells me i have great performance scores, because i know it means i’m doing good at my job and when i get reviewed it could open opportunities for career growth and a possible raise. For me performance appraisal is a way where one employee is being measured based on his/her performance. This a way for the employee to know what are his/her potential on the other hand a way also to improve and to let you know there is always room for improvement. Personally, performance appraisal is exciting! This is where your work will be evaluated yearly. What mentioned above is you are evaluating the performance not the personality. When evaluating, we have to be objective not subjective. In our company we conduct a performance appraisal every end of the year, and I always look forward to it as its where I learn which areas I need to improve on my work and which areas I excel. 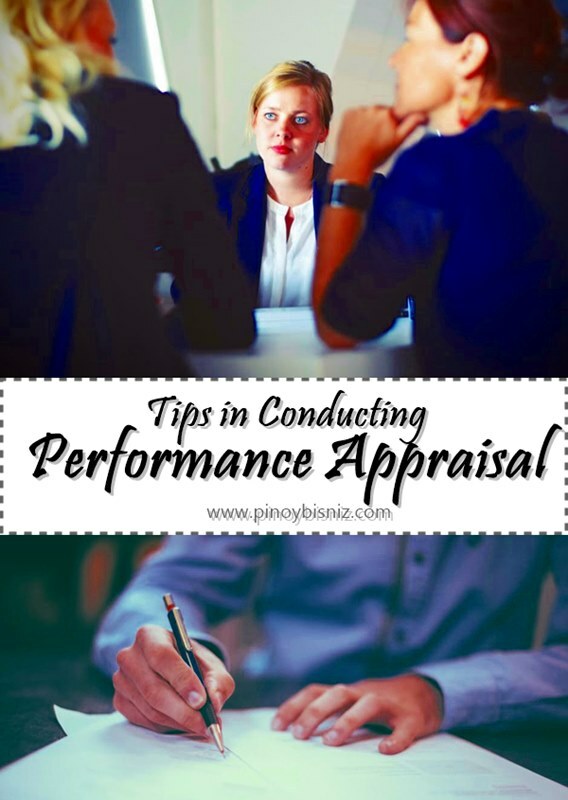 Very helpful tips, we can really use it the next time we conduct performance appraisal. Thanks! Performance Appraisal is one way of letting employees be aware of their strengths and weaknesses. It helps them think of better ways to level up their performance and be a competitive individual in their workplace. Performance appraisal can really be quite tricky as some managers tend to favor some. This is where the value of an effective leader, fairness, comes into play. Effective managers should be able to set their personal interest aside and give a just performance appraisal. it is very important to have the review done regularly depending on the nature and pace of the industry, clarity of the expectations and objectives should also be set, it might mean the difference of getting the raise or not. In gov’t agencies we are always rated quarterly by our superiors. These ratings would be the bases for our Performance based Bonus (PBB). Bonuses ranges from 35000 down to 5000 depending on your rating. Would this really matter ? To it does but others it doesn’t since for them they get bigger amounts from kickbacks… Hahaha. But this really true SIr. I think that this will help them improve their weaknesses in certain area of their jobs and would help them realize that they contribute a lot to the success of their company. Performance appraisal is indeed a mirror of how far we have gone in reaching our company goals together with others. Performance appraisal is really necessary within the organization to assess and to review their personnel performance for the common good of their company’s goal. When conducting/giving performance appraisal be sure that no things being hide in particular to the performance of the person whom you have been evaluating so that it’ll not create conflict, biases and more importantly it will not ruin the person’s life’s future. Appraisal is so much sensitive because it affects one’s personality and create bad history of the person if we can’t make it exactly. It affects even their remuneration. Performance Appraisal is one way of measuring the performance of the employees that could motivates a person to be excellent or poor. Moreover, it helps the individual to grow, develop and learn new things for his/her professional growth.